Despite the injury and blindness, Dauwalter would be the first woman across the finish line, her second RRR100 victory in as many years. Although the visual impairment was a rare incident for the Golden, Colo., resident, the victory was not. Despite being a competitive ultrarunner since only 2011, Dauwaulter has racked up a staggering amount of victories and course records. Her win at Run Rabbit Run would be one of six ultrarace victories in 2017, and not even the most notable. 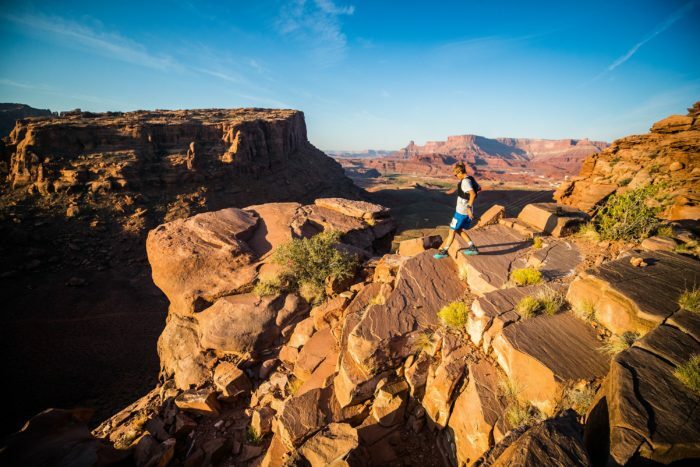 New to the ultrarunning scene in 2017 was the Moab 240, a massive 238-mile loop around Moab and its challenging desert canyon terrain. 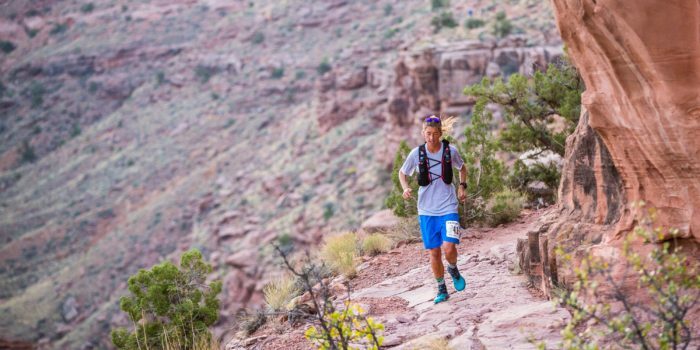 The course features nearly 30,000 feet of elevation change and approximately 20 miles between aid stations, a much longer water carry compared to the typical ultra. Dauwalter not only won the race outright with a time of just under 58 hours, but did so in staggering fashion, crossing the finish line more than 10 hours faster than the 2nd-place finisher. Unlike other runners who enter these unusually long races with a detailed sleep schedule, Dauwalter and her crew employed a “no-plan plan.” This amounted to a total of 21 minutes of sleep over two sessions, featuring a one-minute “nap” near the 200-mile mark. That one minute revitalized Dauwalter to the point of feeling refreshed for the remainder of the race, roughly 40 miles. How exactly does she achieve this? Although Dauwalter says that mental toughness has always been a quality she’s possessed — manifesting as stubbornness as a child — it’s a trait she’s built upon throughout her ultrarunning career. 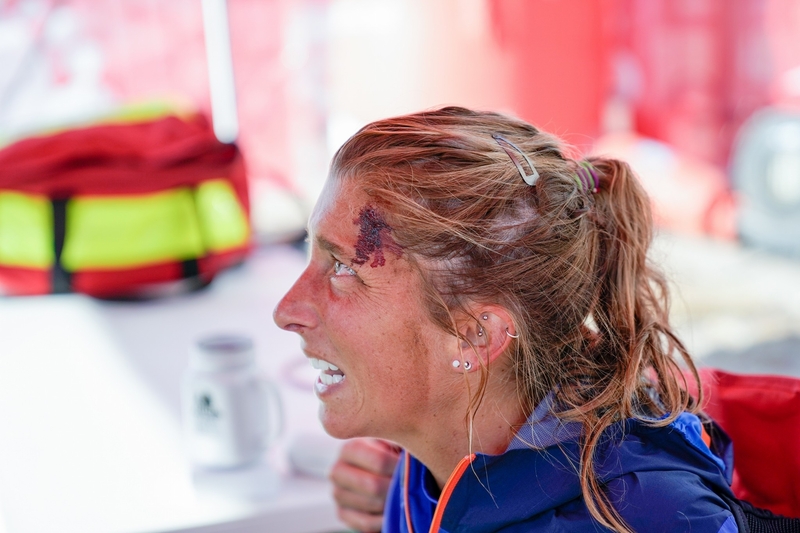 Her first attempt at a 100-mile race was also her lone DNF (did not finish). So the next time you’re feeling down on trail, whether it be from a nasty case of blisters, chafing, or general lethargy, remember Dauwalter. Remember 21 minutes of sleep during two and a half days of running. Remember persisting through blindness, while wiping the blood from your eyes. Remember that quitting is a decision. Currently calls home: Golden, Colo. Profession: Ultrarunner. Until recently she was an 8th-grade teacher in Denver, Colo.
Nutritional regimen: None. She doesn’t follow any fad diet. Courtney enjoys all food groups, including candy and beer. Favorite snacks during a race: Honey Stinger products and instant mashed potatoes. Number of times she broke the women’s U.S. 24-hour distance record: Twice. Both in 2017. She is the current owner of the record at 159.32 miles. Social media: You can keep track of Dauwalter’s flourishing ultrarunning career on Instagram and Facebook. Badass. The one minute nap is clutch! She is an absolute beast and my favorite ultrarunner. Mantras are key! She is an absolute beast and my favorite ultrarunner. Matras are key! It’s not called an *endurance* run because of the miles. Awe-inspiring performance! Please consider running One Epic Run December 1st, in South Carolina ~ I’d be honored to share a trail with you.